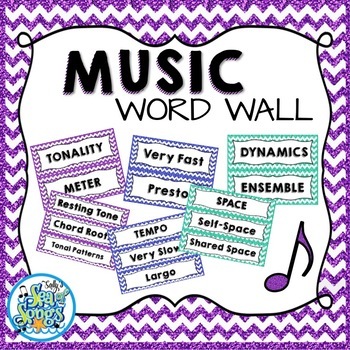 Content words for the music classroom! Print either 2 or 3 words per page, with 3 color choices. Coordinates with my other Glitter & Chevrons music decor sets. Heading words are formatted in all caps. You may choose to use all one color, or mix and match for fun. 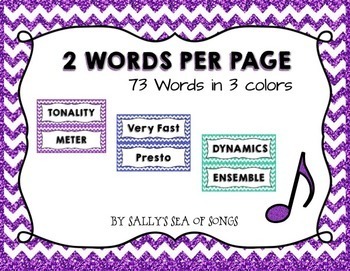 Each set contains *190* words commonly used in the elementary music classroom.